A lot of folks online are loving Congresswoman Alexandria Ocasio-Cortez...and how could you not? Over the past few weeks, she’s been quite vocal on Twitter with fresh opinions, and she hasn’t shied away from showing off her nerdy side on occasion. And she took time from her recent run to help out a live streamer that was raising money for trans children. AOC, as she’s called by many, stopped by H.bomberguy’s live stream during his recent live streaming session, while he was making his way through Donkey Kong 64. As she appeared, the hosts freaked out in genuine surprise, before talking with her while continuing to play. You can check out her entrance on the stream at this link, which was clipped by a user named bearlorde. And, honestly, the reactions are priceless once she introduces herself. She also took the time to tweet about her experience on the stream, which you can see below. She also shares the information for the charity that HBomberguy was working to raise money for. 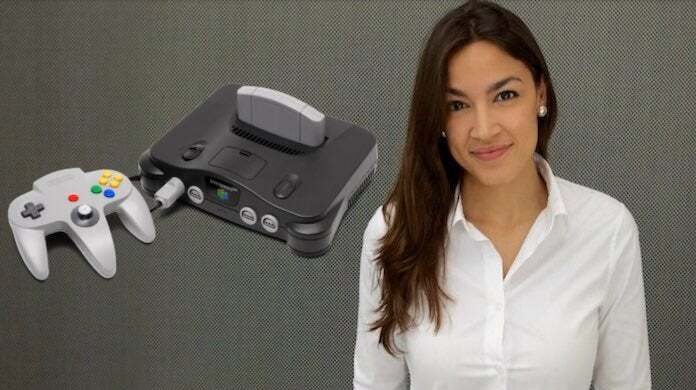 As she hung out on the stream, AOC also talked about her love for the Nintendo 64, which Twitter user Gene Park shared in the tweet below. She admits she never owned a system, but still loved it. And she loved Pokemon Snap, too! Yes! And here’s yet another clip where she discusses trans discrimination. Well worth the watch. It’s a fantastic appearance by AOC for a worthy cause. And what’s more, it looks like HBomberguy is still going, and you can contribute to his stream here. And if you need any further proof that Alexandria geeks out just as well as the rest of us, well, here’s a recent tweet in which she quoted, of all things, Zero Wing.